Oh how we love a great fashion story in a wedding; today’s beautiful Oxon Hill wedding by Roland and Brandice really captivated us! From her sleek A-line fitted bridal gown and glittering accent belt to his dapper berry hued suit jacket, they both looked impeccable on their wedding day. So many gentlemen choose to go classic with a black suit or tuxedo, so we especially love when a Groom steps out with a tailored jacket in a unique hue. Her stunning white gown paired perfectly with his bold berry choice; they were both total knockouts on their big day! 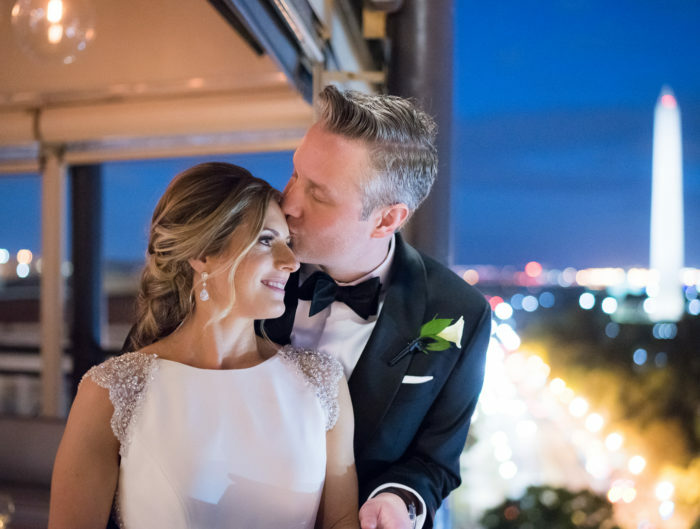 Surrounded by friends and family, the pair were married at Oxon Hill Manor in a lovely outdoor wedding ceremony, complete with personal love quotes that lined the aisle. 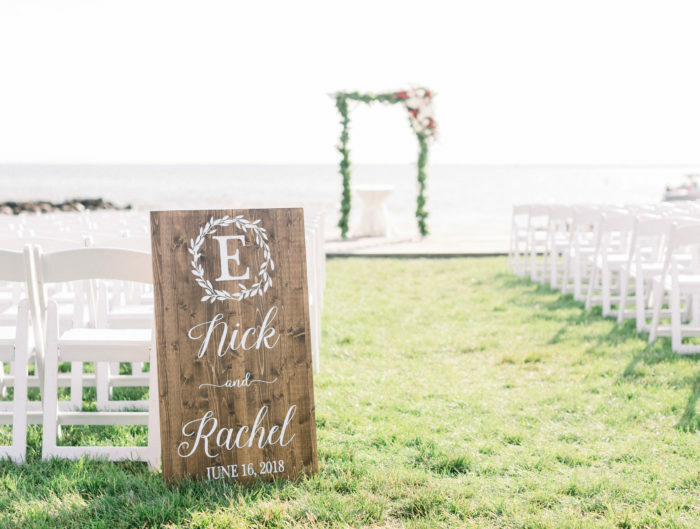 This is an amazing way to inject a little personality into a ceremony! We are sure it brought a tear to an eye or two. Post ceremony, guests noshed on passed appetizers and cocktails in the gardens of the popular Maryland wedding venue. They then moved into a glowing tent under the stars for dinner and dancing. It really looked like they had an amazing time. 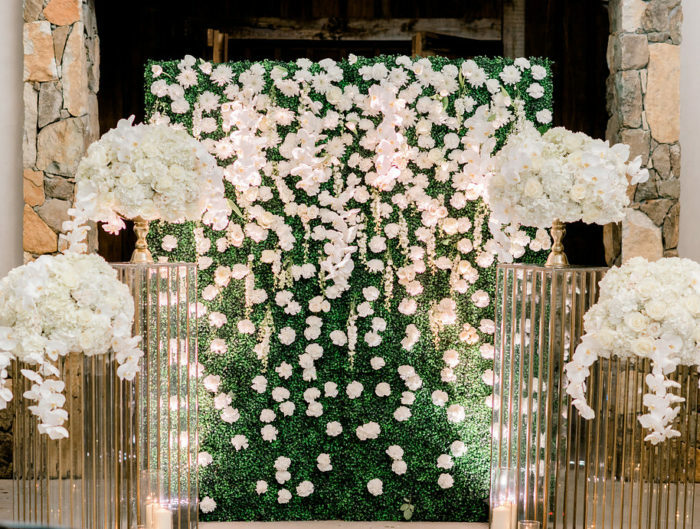 Thank you to Tara of Perfect Planning Events for sharing this beautiful Oxon Hill wedding with us today. Congratulations to the newlyweds! We wish you many years of love and happiness!